The CONCACAF Champions League is the most important club competition in the Northern, Central American and Caribbean confederation. This competition is played on a yearly basis, with the winner earning a spot in the FIFA Club World Cup every year. This tournament has changed its name repeatedly. The new format was introduced in 2018, with 15 teams earning their spots directly into the tournament. 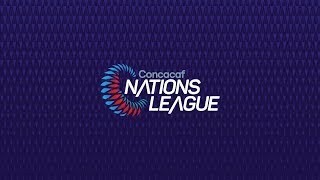 One more team qualifies via the CONCACAF League, which substituted the group stage in this competition. CONCACAF hands out four spots for Mexican and American clubs. Each of the following countries gets one spot. An additional berth is handed out to a Caribbean team for a total of 17 teams. Sixteen teams will battle to win the title in the 2019 CONCACAF Champions League. From Mexico: Tigres UANL, Santos Laguna, Monterrey, Toluca. From USA: Houston Dynamo, NY Red Bulls, Sporting Kansas City, Atlanta United. From Costa Rica: Deportivo Saprissa, Herediano. From El Salvador: Alianza FC. From Panama: Club Atlético Independiente. When is the CONCACAF Champions League? Mexican club Chivas de Guadalajara became the 2018 CONCACAF Champions League winners by beating Toronto FC in the final match. The two-legged tie ended in a 3-3 draw, but the Mexican side claimed the trophy after a penalty shootout. Sadly, Guadalajara will not be able to defend their title after two disappointing seasons in their domestic competitions, which saw them drop to 17th place out of 18 teams. What are the key dates in the 2019 CONCACAF Champions League? Round of 16: February 19-21 (first leg); February 26-28 (second leg). Quarter finals: March 5-7 (first leg); March 12-14 (second leg) . Semi-finals: April 2-4 (first leg); April 9-11 (second leg). Finals: April 23-25 (first leg); April 30-May 2 (second leg). What are the 2019 CONCACAF Champions League broadcasting channels? Latin America: Fox Sports Cono Norte, Fox Sports Cono Sur. Latin America: Fox Play Cono Norte, Fox Play Cono Sur. United States: fuboTV, Yahoo Sports. Did you know? No non-Mexican team has won this competition since 2005. Saprissa became the last team from another nation to claim this title.